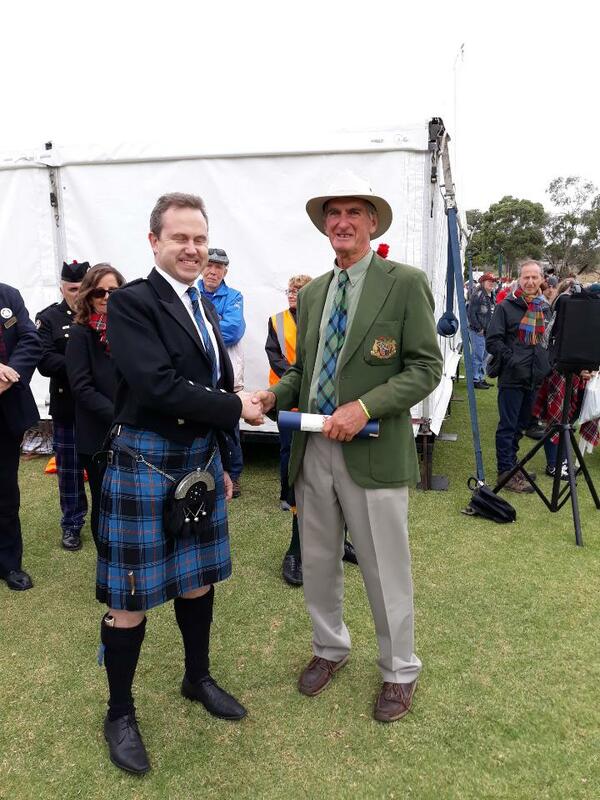 Please see attached the results from the 2019 Ringwood Highland Gathering held on Sunday 31 March at JW Manson Reserve, Wantirna. In addition to the results, Pipe Bands Victoria congratulates Ben Casey on winning the Lew Zillies Award as the Champion Drum Major for the 2019 season. Ringwood Highland Gathering also presented two Youth Encouragement Awards and these were received by Ella Hodges and Liam Nicolson for the leadership qualities they have displayed with the Victorian Youth Pipe Band. The final award presented at Ringwood was the Sir Rupert Hamer Award, and this for the first time ever, was presented to two winners, being Ian Clarke and Phil Parson, the VHPBA Marshals, and we sincerely congratulate and thank both Ian and Phil for their many years of service. Usually, a nomination for the Sir Rupert Hamer Award is for individuals, but in this case, a dual nomination has been made for the two VHPBA Marshals. A nomination cannot be made for one without the other, hence the joint nomination. In the lead up to the 1974 Australian Pipe Band Championships at South Melbourne in 1974, Jack Harris and Bob Denman were recruited to assist with organising and marshalling bands and to ensure such a large contest ran to time. 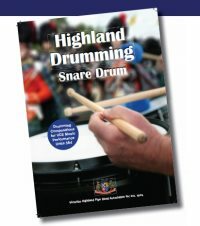 At that time, there was limited or no formal assistance for ensuring bands were suitably marshalled for contests, massed bands and other events, and it was determined under the leadership of Ken Williamson, then President of the VHPBA that formalising a role for marshals would be beneficial to both the association and bands. Shortly thereafter, Ian Clarke who was a serving officer of Victoria Police was recruited by Jack Harris, himself a policeman, as a Marshal. Ian began assisting marshalling bands at highland gatherings and other events and has been doing so since the mid 1970s. Phil Parson was recruited as a Marshal by Ian Clark in the late 1970s when Jack Harris was no longer able to assist. Phil was also a serving officer of Victoria Police and played with the Victoria Police Pipe Band for a period of time. Phil is now the Secretary of the Retired Police Association where he administers over 3000 members. Phil was stationed at various locations throughout his career and prior to retirement was stationed at the Police Academy at Mount Waverley. Phil has been an active member of the organising committee of the Police and Fire Games and along with Ian, is a dedicated and long term volunteer assisting pipe bands. Over 40 years, the Marshals have always turned up and assisted at contests. Both Ian and Phil have offered dedicated service to the VHPBA and Pipe Bands Victoria and carried out their duties with diplomacy, commitment, and general excellent interaction with members of pipe bands over this time. Pipe Majors under stress are sometimes not easy people to deal with and both Ian and Phil continue to do an excellent job for the association.